Until recently the Toccata had been thought lost, but two independent posthumous prints (1807 and 1809) have now been located and form the basis for this edition. No autograph has yet been traced. 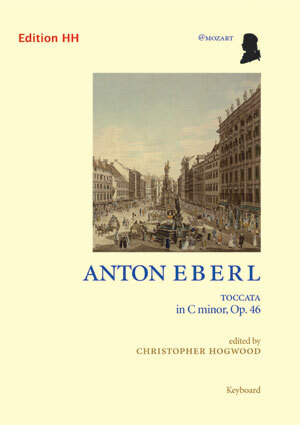 Despite Eberl’s exploitation of new pianistic techniques, the Toccata (subtitled in one edition “Toccata fugata”) is a conscious nod to the past, and to Mozart’s late interest in fugal writing, encouraged by Baron van Swieten; possibly the several fugal collections published by Reicha in Paris and Vienna also acted as a stimulus. ...an attractive work which will repay learning; audiences, too, will undoubtedly enjoy it.